Construction started mid November 2015 for this new 12,000 square foot two story free standing turn-key office building in Riverdale Utah. 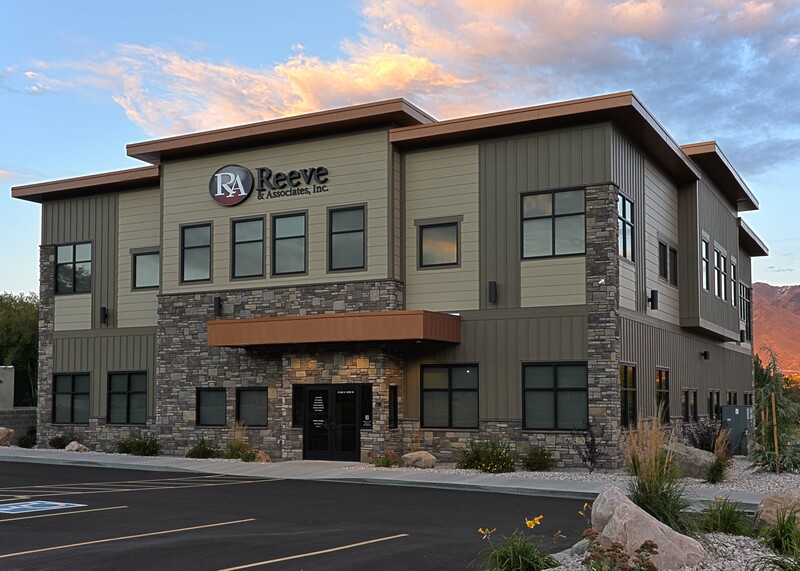 The wood framed structure with an exterior finish of vertical and horizontal fiber cement lap siding and cultured stone will be the new home for Reeve & Associates, a multi-disciplined engineering design firm. Construction includes the interior build out, interior finishes, and a one acre site development. Construction was completed in May 2016.